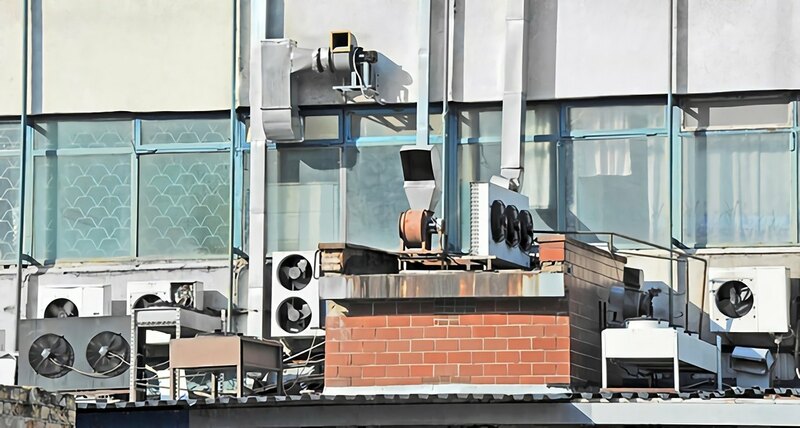 Often, business or homeowners make the decision to wait on upgrading their HVAC systems in favor of saving money in the short-term, even though it would be undeniably cost-effective in the long run. Upgrading your HVAC system will go far beyond simply saving money; it increases fire safety, maximizes energy efficiency, facilitates repair and maintenance, improves air quality, and can afford you tax credits. Before you find yourself staring at a mountain of repairs and expenses due to an outdated HVAC system, consider the top five reasons to upgrade your HVAC system now. The National Fire Protection Association reports that more than 47,000 home fires and 16,700 non-home fires were the result of old, damaged, or otherwise faulty wiring in 2011—and the wiring within your HVAC system is no exception. If you are currently using an old HVAC system, you could be one spark away from damage to your home, business, or other structure. Even worse, a fire at home or work could result in great bodily harm to yourself, your family, your coworkers or your consumers. Upgrading your HVAC System enables the technician to check the wires leading to the HVAC system’s location, which could save tens of thousands of dollars in both physical and emotional loss, should the worst come to pass. New HVAC systems take advantage of technological advancements, such as solar power and heat distribution systems, to optimize the amount of energy consumed by the unit. This is good for both your wallet and the environment. HVAC technicians who have completed comprehensive refrigeration repair training are in charge of installing these advanced, complex systems. Moreover, an experienced HVAC technician can help you determine what kind of HVAC system is the best choice for your needs. Since HVAC technology has made great technological strides in the last few years, repair parts for old systems can be difficult, if not impossible, to locate. As a result, these outdated pieces will be more expensive, if available at all, and multiple expensive purchases could easily add up to the cost of upgrading the HVAC system. Investing in a modern HVAC system may not only offset high repair costs, but will likely also reduce the need for repair work altogether. Poor indoor air quality has been linked to respiratory illnesses, irritation of the mucus membranes, fatigue, and headaches, according to the Occupational Safety and Health Administration (OSHA). Older HVAC units can be a breeding ground for mold or other substances, which can then adversely affect the quality of indoor air. The solution for these problems usually involves the use of an air filter system; yet, with very old HVAC systems that might not be enough, and you may need to install a new system for better air quality. Furthermore, an up-to-date HVAC system will enable air to properly circulate throughout the structure. In December 2014, Congress extended the time period for taking advantage of tax deductions for homeowners and commercial entities to upgrade their HVAC systems. While Congress has yet to act on the dates available for government subsidies in 2015—which you could claim when filing taxes in Spring of 2016—the tax deductions for expanding heating distribution systems or other renewable energy resources, such as solar power, will be in effect until the end of 2016. There are many other reasons for choosing to upgrade your HVAC system, such as to improve interior appearance or reduce noise from older motors. However, you should really think about your health, safety, and money. When you consider the tax incentives, improved air quality, energy savings, lower maintenance costs, and reduced fire risks, you may decide you cannot afford to put off upgrading your HVAC unit any longer.